Bae,” Urban Dictionary says, is an acronym that stands for “before anyone else,” or a shortened version of baby or babe, another word for sweetie, and, mostly unrelated, poop in Danish. The latest endearment word that’s been going around. 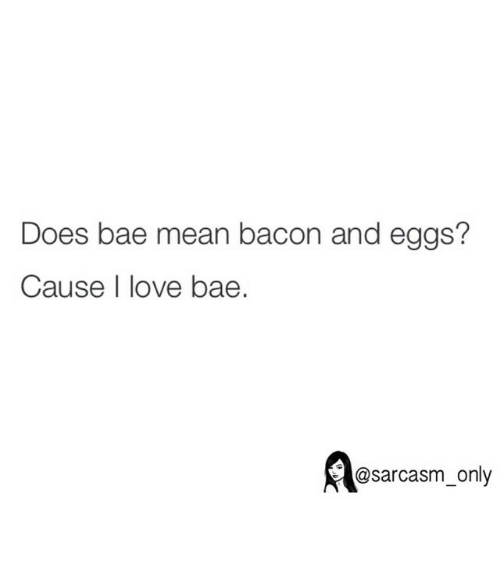 Every time I read it I start laughing out loud because in my head a tiny voice says it out loud – baeee/behh/baaee. Believe me I wish I could record that voice and play it to you guys! My latest way of driving R crazy has been by texting him bae whenever I am bored and enjoying his reaction every single time. To put it mildly, he hates it. It baffles him that of all the words already available to be used to call your SO , people chose bae. I am not a fan of it either but I don’t judge. I couldn’t care less if you call your SO in more revolting ways. As long as it has the effect you desire on the other person. So what’s your take on this? Bae or bae .. what are your most favorite words to address your SO? When the ‘Other Woman’ is Football! I recently read a news article where a guy in UK made his girlfriend take an Arsenal quiz , and declared he will not dump her because she got a whopping 87%. When I sent it to my SO* he was really laughing out loud. I told him, that I would get negative scores if he tried to quiz me. First, I did not even realize I had said Arsenals and not Arsenal .. *beeeeeeeep*I had already started with a negative score. Let’s talk about the cool Maamis and Mamas! This is my bff’s mom. She loves shopping. It is not just for sarees or gold but for the latest trends. She shops for my friend to make sure she wears the latest trends out there (sigh! J) She also wears clothes that are fashionable and age appropriate. She sports sunglasses and tees. She travels and shops weather appropriate as well. This mama blogs about everything under the sun on his blog. He has a wonderful command over English or a language of his choice. He knows history, philosophy, politics , business and sometimes even gives relationship advice. He reaches out to everyone and has a fan following. He is progressive, wise and probably is his son/daughter’s best friend. They have a smartphone, tablet or an iPad on them always. They tweet, Facebook and whatsapp. They follow their kids, nephews, nieces, kid’s friends and also create all kinds of whatsapp groups. They are tech savvy, know online etiquette (most of the time), connect with like minded people -be it religion, cooking or sports and know how to have a good time with gadgets. The only con is they sometimes tend to embarrass their kids by commenting inappropriately or update a personal message as a status instead of sending it personally. But once they cross the initial glitches they do work towards becoming pros. These letters flash through my head whenever somebody asks me irrelevant questions. I was trying to place where I learnt this word..it means Please Mind Your Own Business. It was written on top of the black board during physics class by our teacher in middle school. A very no nonsense lady who insisted on reminding us this every class. More than physics I guess this stuck in my head better. I am no poster child for minding my own business. All I do is crib and find fault in the system and write or talk about it without minding my own business. But seriously, haven’t you felt like saying this to people (who are not related to you in anyway whatsoever) when they ask awkward questions? For teenagers growing up in India: What is your tenth/twelfth marks? To PhD or Masters with thesis students: When are you planning to graduate? For people working in the US: What visa are you on? A question asked from the time I was pretty young .. Are you a “Brahmin”? ( Sometimes with surprise! ) 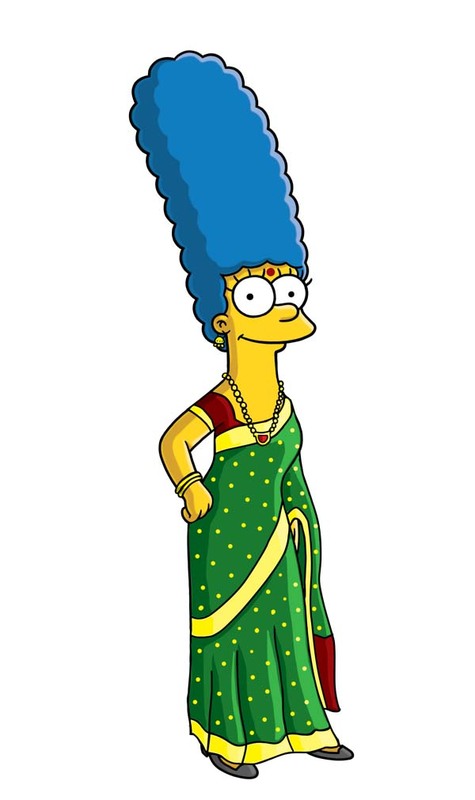 Followed by Iyer or Iyengar? (which are sub castes). I really wonder how it matters for people who work with me or who are acquaintances or in fact anyone. If you aren’t single: When are you guys planning to get married? If you are married- Any good news? (meaning “Are you pregnant?”) Well, if you didn’t know that’s the only “good news” people have in their whole lives is increasing the population of the already over-filled planet. Why are you wearing black on a special occasion? Do you have any questions that make you want to say PMYOB? Share it below !